Winter is often regarded as the time for strong, warming beer but there are other, equally delicious alternatives that will still keep the chills at bay. With the weather turning colder and the holiday season fast approaching, many of us are eagerly anticipating beers that are custom made to stave off the winter chill. Traditionally, winter beers are heavier, higher alcohol, and generally have a more rich and complex flavour profile than their summer counterparts. In short, they’re as divergent as the seasons themselves. Where summer is a time for refreshment and excitement, winter is a time for savouring and reflection. While that is generally still the case with many winter beers on offer from breweries in BC, there are also plenty that are bucking the trend and offering something a little different. The traditionally higher alcohol of winter beers certainly makes enjoying more than one far more challenging. With many of us visiting with friends and family, the need to make it home safely far outweighs the need to crack open a 10% ABV barley wine. To try to bridge the gap, here are some winter beer options that will still allow thorough seasonal enjoyment yet won’t require a spare bedroom to crash in. While some are still higher than 5% ABV, each brings something special to the table in this exciting season for beer. 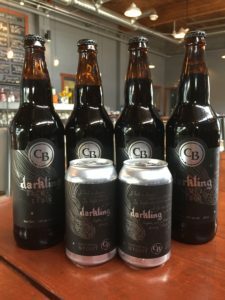 Penticton‘s Cannery Brewing releases its Darkling Oatmeal Stout around the middle of autumn and it transitions well into the colder winter months. Despite loads of delicious, roasty, toasty malt flavours, Darkling remains a ligher bodied stout with a modest 5.5% ABV and a light, dry finish. 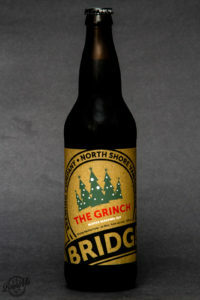 Each year, North Vancouver’s Bridge brings out its Grinch in both regular and barrel-aged variants. The base beer hits all the notes you’d expect of a winter beer: malty with caramel, treacle and some prune. If you can find a bottle of the barrel-aged version — with its distinct black label and green, wax-dipped neck — you’ll be treated to an additional, surprisingly mellow richness and woody warmth, making it a great accompaniment to a roaring fire and a couple of friends. Not all winter beers need to be dark and heavy. 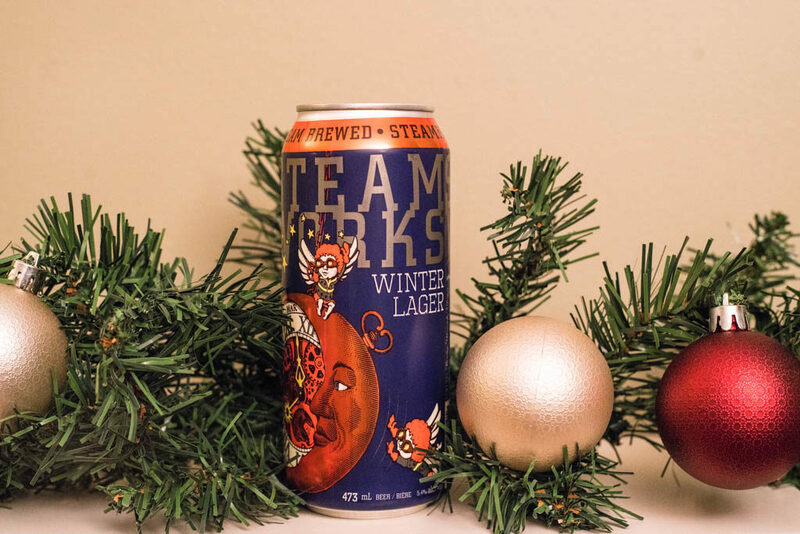 The Winter Lager from Vancouver’s Steamworks (5.4% ABV) is fairly light and easy to drink while still offering a malt profile that lends itself well to the colder months. This type of amber-coloured lager would more readily be associated with springtime or Oktoberfest, but Steamworks shows with this beer that winter is just as good a time for a lager as any other. With “winter” in the name, you might expect some spice or other winter flavour, but the Winter Lager is all malt and freshness, bringing a unique winter refresher to your table this season. Photo courtesy of Nelson Brewing Co. 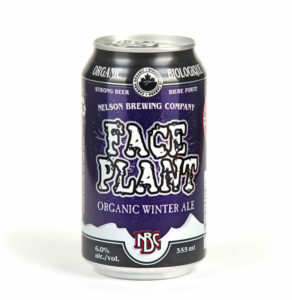 This classic winter ale from Nelson Brewing Company offers what beer drinkers of all stripes crave in a winter ale: a beer with more heft that you can still drink more than one of. At 6% ABV, you’re unlikely to take a dive into a West Kootenay snowbank after your second can of Faceplant. This winter ale has a lightly sweet maltiness while still showing a lighter than expected body, making for a winter beer that will appeal to both novices and nerds alike. 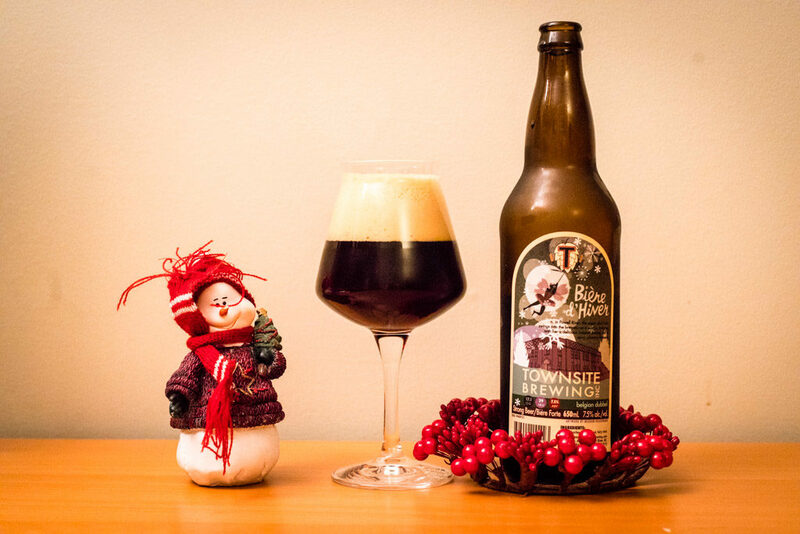 Townsite’s head brewer Cédric Dauchot hails from Belgium, so it’s fitting that he would create a Belgian dubbel as his signature winter beer. This variation on the style (7.5% ABV) by the Sunshine Coast brewery has a bit more sweetness than a typical dubbel and backs that up with rich caramel and burnt toffee. Where Dauchot adds a little twist is in the subtle tartness that accompanies notes of fruit and currant that seems to oh-so-lightly cut through the malt for an unexpectedly clean finish. 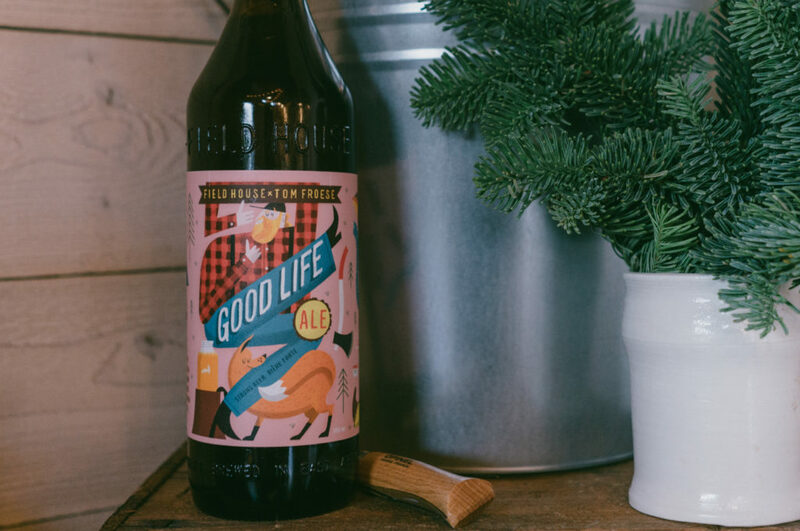 Photo courtesy of Field House Brewing Co.
For something completely different this winter, beer drinkers need look no further than Abbotsford’s Field House Brewing and its Good Life Ale. This winter collaboration with local illustrator Tom Froese is a wild IPA brewed with foraged pine and berries, then fermented with Brettanomyces yeast. While an IPA — let alone a Brett IPA — is probably far from what one might expect in a winter ale, this one stands out with its uniqueness and begs to be tried and tested for yourself. Whatever you choose to stock your winter fridge with this season, be sure to explore beers from your own (figurative) back yard. See what your favourite BC Ale Trail breweries are offering for the holidays. If you care to share what you find, chances are you won’t be the one with coal in your stocking!